You send your items by mail with $5 for evaluation/return postage (100% refundable if we buy your items.) Within 24 hours of our receipt, you will receive our offer by email. Accept our offer and we send a check by the next business day. Decline our offer and we send your items back within 24 hours. Mailing? – Isn’t that a hassle? Not really. Even if you sell your coins locally, you have to take them somewhere – which is usually at least as far away as your local Post Office. In most cases, and particularly if your package is heavy, we recommend you use US Postal Service Priority Mail Flat Rate boxes. They’re inexpensive (“if it fits, it ships,” regardless of weight) and you may insure each box for up to $25,000. Just pack your items securely so they don’t rattle around the box. One way to prevent coins from banging around inside the box is to put everything in a large plastic bag and put some tape around the bag to hold everything tight – then put the bag in the box. Be sure to include a count of the coins (so you know what you sent and we know how many coins should be there) and your email address or phone number so that we may contact you with our offer. If you’re shipping by FedEx or UPS, please contact us for our street address so we’ll know when to expect your package. How do I know you’ll pay me a fair price? Our buy prices for the most common items are updated online everyday. It’s easy to compare our prices to that of your local coin dealers. Give them a call – Ask what they’re paying for silver dollars or how many times face value they’re paying for 90% or 40% silver coins. We monitor what other coin dealers around the country are paying and our goal is to pay more so we get your business. We can do that because our Internet-based business has lower overhead than a bricks and mortar store. And we often hear from our sellers that we paid more (sometimes, much more) than their local dealer offered.There are other reasons we pay more than local dealers. We spend more time reviewing your coins – looking for scarcer dates or other premium pieces for which we’ll pay more. 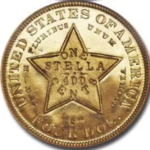 Selling over the counter to your local coin shop (or worse – to the fly-by-night, hotel-based “Estate Buyers” with the 2-page newspaper ads) usually is a much more hurried affair and your better coins are frequently “overlooked” in the appraisal. Note: Our listed prices are for small quantities. We do pay more for large quantities so when you compare our prices to others, make sure the quote is for similar quantities. We also pay more for better dates and high grade coins. The $5 is fully refunded to you when we buy your items. But this discourages kids (& a few adults) from sending a single common penny or nickel or Bicentennial half, etc. worth only face value which we then have to repackage and return. Before the fee, this was an ongoing problem. How do I know you won’t just keep my coins? 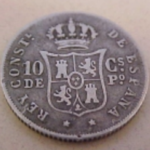 We buy all U.S. coins, pre-1968 Canadian silver coins, gold coins from any country, and pre-1918 silver coins from any country. 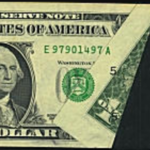 We buy all US paper money, Series 1933 or older, and all $500 and $1000 bills. We also buy gold and platinum jewelry, sterling silver sets, scrap silver, gold and platinum. See the list on the CoinSite Buyers Home Page for more details. How do I know what I have or if my coins are valuable? Many people don’t know. Some just have a jar, box or albums of coins left to them by a relative. If you don’t want to go through them that’s where we come in. Just pack them all up and send them. We’ll do it. We’ve done this for decades. We have the expertise to evaluate your coins much more quickly & efficiently than you do. Also see: U.S. Silver Coins: When They Ended and What They’re Worth and What’s it Worth? What does “face value” mean? U.S. silver coins are commonly bought and sold in bags of $1000 face value. 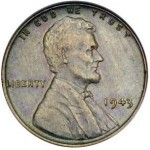 Face value is the denomination (amount) that’s on the coin. For instance, a $1000 bag of silver coins could contain 10,000 dimes, 4000 quarters or 2000 half dollars. Accordingly, $2.50 in face value could be 25 dimes or 10 quarters or 5 half dollars or any combination that adds up to $2.50 in value. Can I send a list – or pictures? 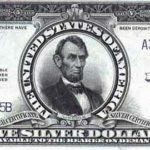 If you want prices on items that we can quote on without seeing, like common-date silver dollars, 90% & 40% silver coins, original package proof sets and modern commemorative coins, we’ll be happy to quote by email or phone. Most other coins we have to see in person. Images are good for identification but usually not for pricing. While we can see some details in a clear image, we can not accurately determine the surface condition and other nuances that determine a coin’s authenticity and grade (condition). Why is my coin on the internet for a lot more than you quoted me? Where do I send my coins? I have other questions. Can you help? We are longstanding members of the American Numismatic Association (ANA), Florida United Numismatists (FUN) and the Commercial Coin Exchange (CCE) as well as authorized dealers for the Professional Coin Grading Service (PCGS) and the Numismatic Guaranty Corporation (NGC). We would be happy to provide you with bank and/or industry references upon request.